Mobile Monday London: Fantastic "write-up" of this week's event on Mobile Voice! Fantastic "write-up" of this week's event on Mobile Voice! 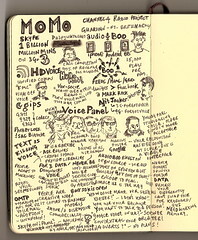 Paul Downey took some great notes at this Monday's MoMo London event on the future of voice. Thanks, Paul!